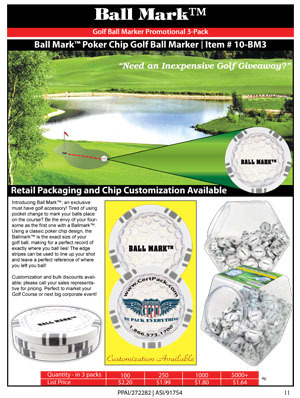 Order in 3 Packs customized or just with the Ball Mark brand. Also available in Retail Displays. Drop Shippers, this product is also available now too. Use product code 10-BM3 to order.